In this article I will bring you the deeper explanation on what cancer is? What is the cause for it? How do we immune ourselves? And what is the cure? But before we continue, please read the following statement. The content on this article and the website this information is presented to you is not intended to be a substitute for professional medical advice, diagnosis, or treatment. Always seek the advice of your physician or other qualified health provider for any questions you may have regarding a medical condition. Never disregard professional medical advice or delay in seeking it because of something you have read here or elsewhere. Having said that and cleared the legal issues, here is what the Torah teaches us. Normal body cells grow, divide, and die in an orderly fashion. During the early years of a person\’s life, normal cells divide more quickly until the person becomes an adult. After that, cells in most parts of the body divide only to replace worn-out or dying cells and to repair injuries. The basic information above is what the scientists give us. Now let’s find what is really going on with this scary disease? First, we need to know that all materials are subject to spiritual forces. Nothing moves in this world without a control by a spiritual force. You are the driver of your car. The car doesn’t move unless you decide to put some gas, start the engine and engage the gear. Even if you have the most sophisticated car that drives itself from cost to cost, guided by satellites systems. It all starts with the thought that created the device that we utilize in our life every moment. The connection to the parasha of Metzora will come soon, please stay with me. Know that the hardest metal is actually 99% space. The atoms are made of electrons protons and neutrons in a special relationship that constantly move in space. Ask you physics teacher. It is all incredible but true. We are the creators in this world. Yes, G-d created the basic system, but all else that you see around you is 100% man made, or should we say just 1% considering the 99% space. It is actually 100% because the 99% is what holds everything together. The 99% space is actually the substance and the 1% is the packaging materials. I read a kids story book where it tells about kids that want to bring a gift to their mom on her birthday. One gave her flowers, the other one candies and the little one gave her a box. When his mom opened it and found it empty, she asked “what’s inside?” and the little one said that it is filled with kisses that never end. Obviously his mom said that this is the best gift ever. It is just a little story but it teaches us about the impact of the space. We may not see anything but it is actually full of everything. Nowadays people across the globe are walking around with their communication devices, Cell phones, PDAs, Radio and Video streaming, etc. Put thousands of those in one spot and ask them to connect to a different place or person while constantly moving around. The amazing thing is that all are going to be connected, get their specific channel without getting tangled with each other’s channel. Think about it, imagine it, it’s incredible how much can go on in one spot at one single moment. It’s all in the space. The space is the force that enables us to become creators. Crazy ha…Let’s get crazier. The space is the Light force of the Creator that is concealed from us. Concealed from our eyes but it is all around us, keeping existence in movement so we can make whatever we want. Why do we need to breathe to stay alive? When there is no breathing, the movement (heart) stops, the brain stops and the light we have inside (the soul) jumps out. Are you still with me? Okay, let’s connect the pieces together. Leprosy as we know it in recent times is not the same as what the Torah is talking about. Tzaraat is the Hebrew name for it and the first symptoms are whitening of the skin and sores. The Zohar tells us that the cause for Tzaraat is speaking evil tongue. Why so? Before we speak we have a thought, which comes from “the space”. When we talk we create a different reality. When that reality is negative, it affects “the space” around us. That effect causes a change in our DNA. Why does the DNA change? The power of speech is the power to create. It transforms “the space” into matter. If the change that happens doesn’t match the reason for creation, which is the state of natural and healthy DNA then it causes a change in our DNA on a personal level and on environment level. One little bad talk can go out of control, like one cell with a corrupted DNA gets out of control and starts taking over the rest, forms groups (tumors) and spreads further. Why can cancer come back after it was removed? If you do not remove the cause of the cancer, there’s no cure. You may take all the tumors out, but the source is still there. In the person himself or in “the space”. How does cancer get cured? Transformation. Take care of the source first. Stop the source of negativity to spread and the tumors (contaminated groups) will shrink. It you decide to take away the tumors, transform the source to good. Repair the DNA with positive actions. How do we immune ourselves from cancer? Shut up. First thing is to stop any talk and action that is not creating positivity for you and for the environment. Be like G-d, enlighten others, help, share, get out of yourself. Come closer to the light. The Zohar explains that connecting to the Torah will keep us away from negativity. As the Zohar says, “A little light removes a lot of darkness. I did not expand on all the points that I should have and I hope that you get the picture. There will be a second article on this subject with more detailed explanations. Feel free to e-mail me any questions you have. Stay connected and zip it. Previous Previous post: Bees and Numbers….What a crazy thought? 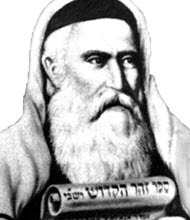 Next Next post: VeZoat Haberacha – Beresheet – Solving The Mystery, where is Moshe?